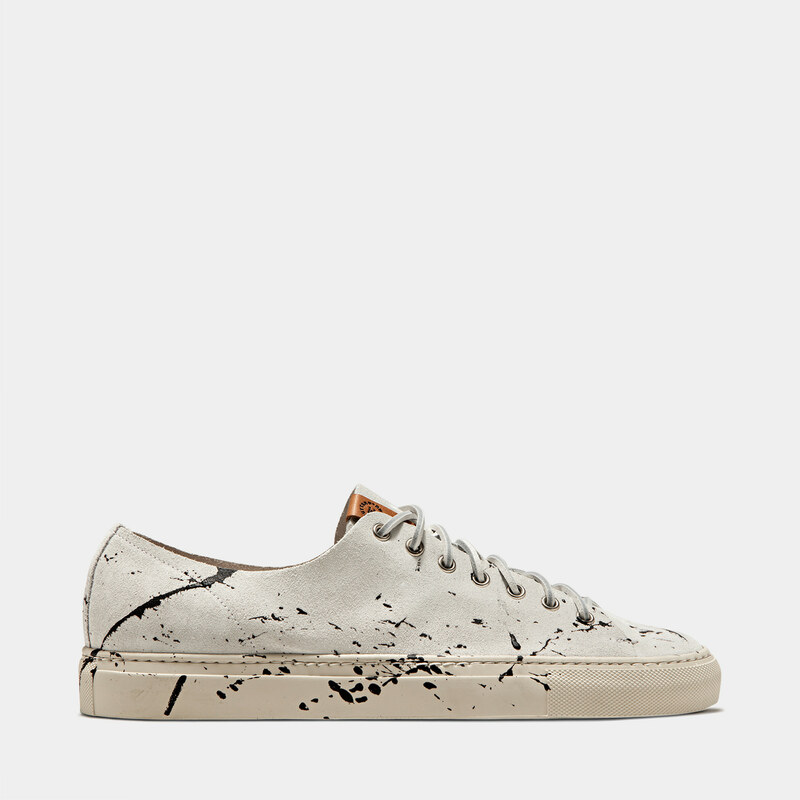 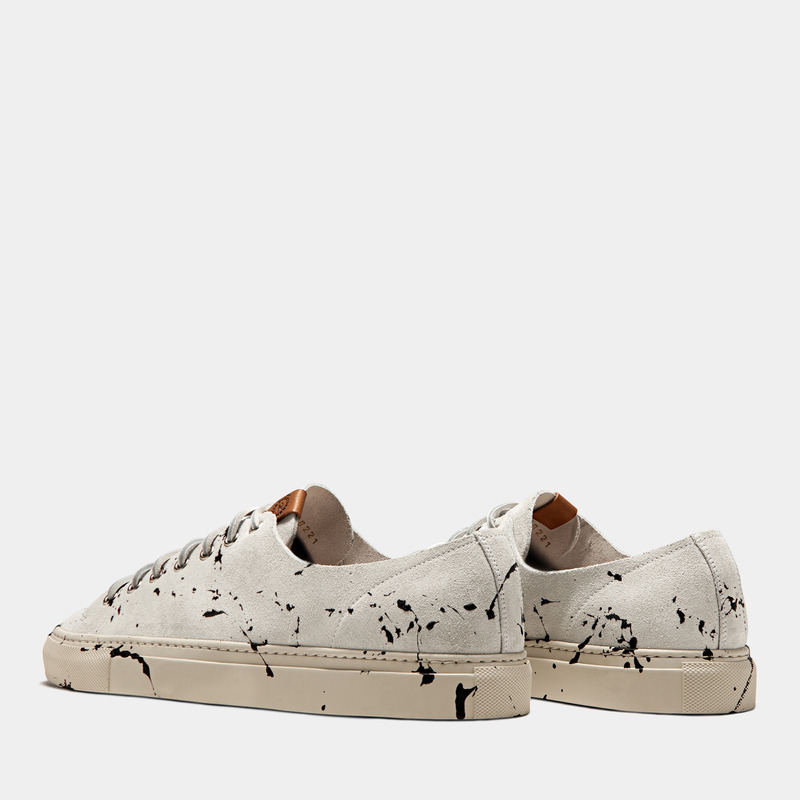 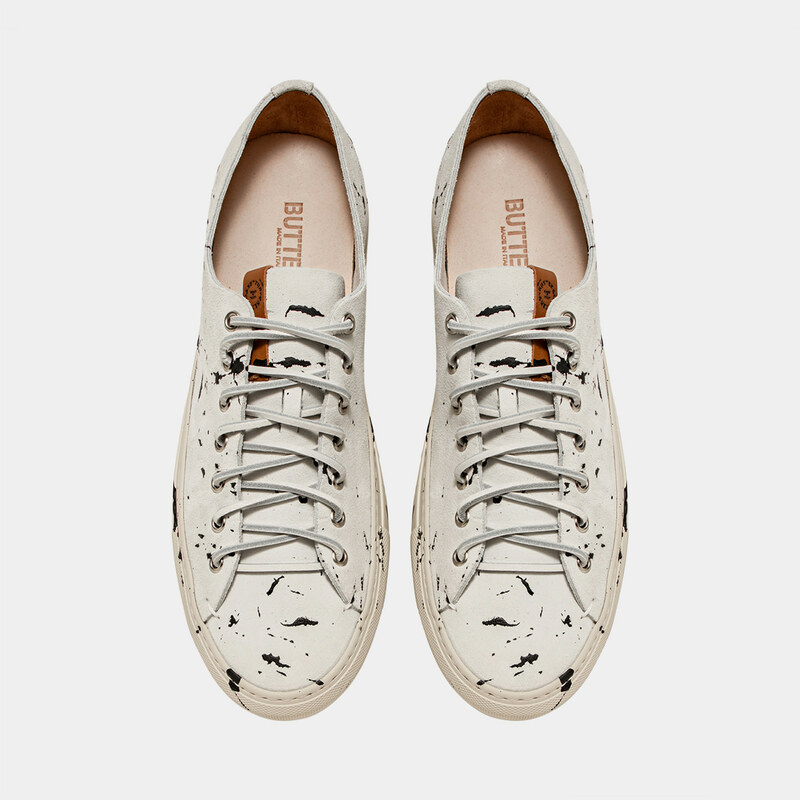 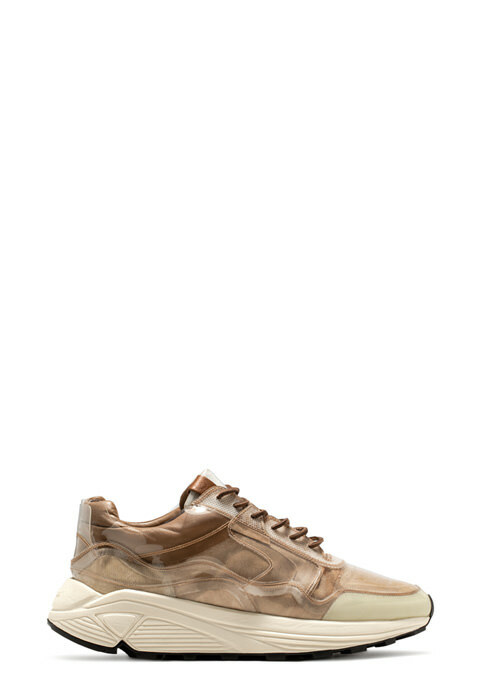 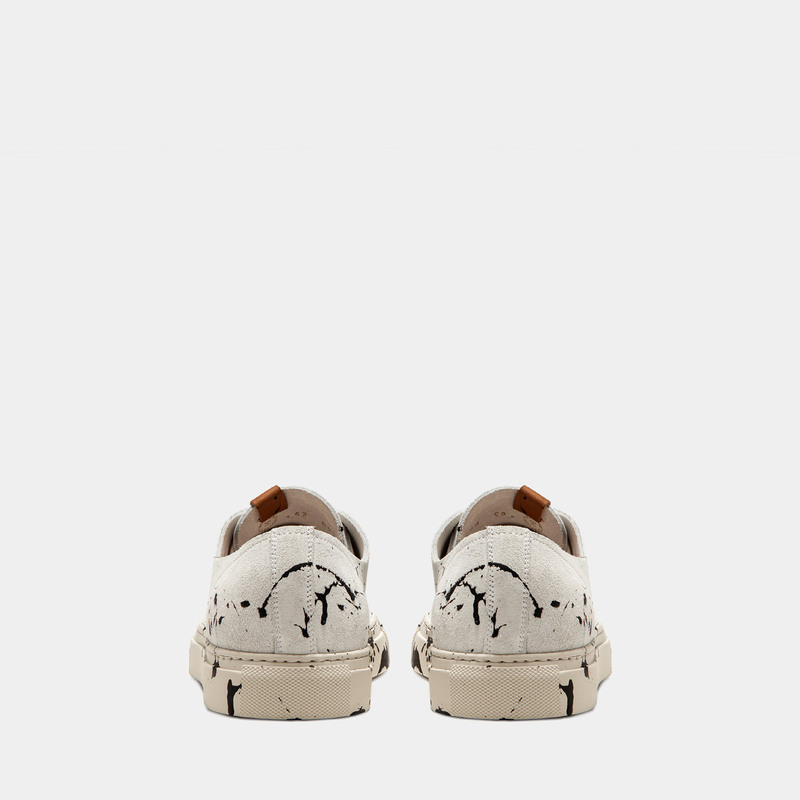 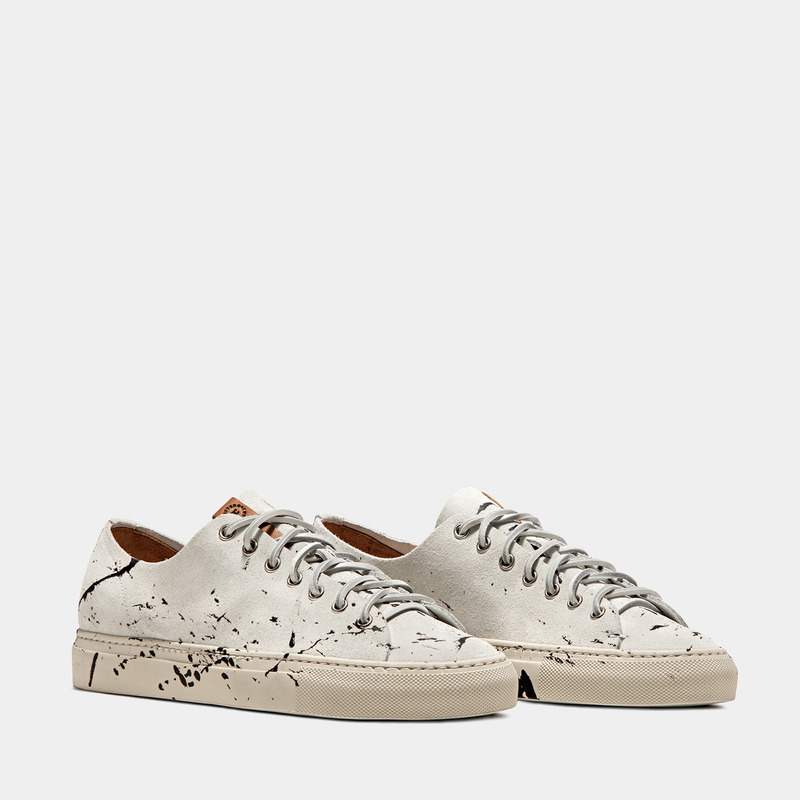 Made in Italy white suede TANINO low top Sneakers with all-over black paint splashes. 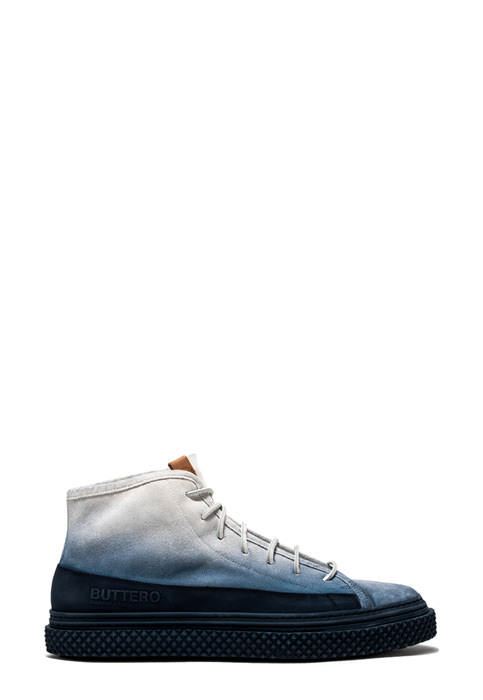 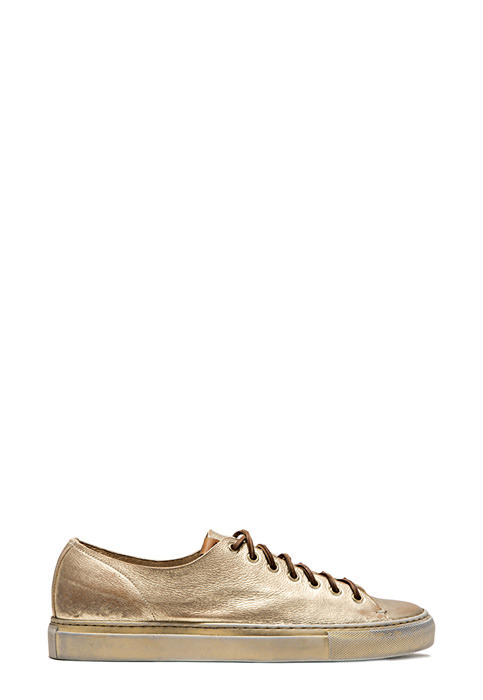 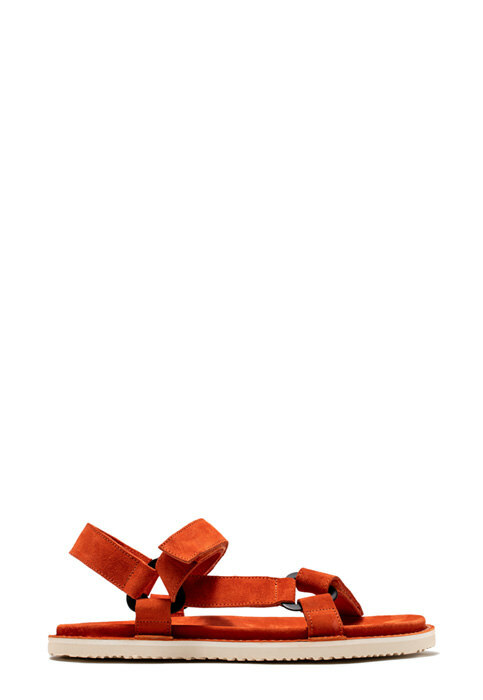 Squared leather laces. 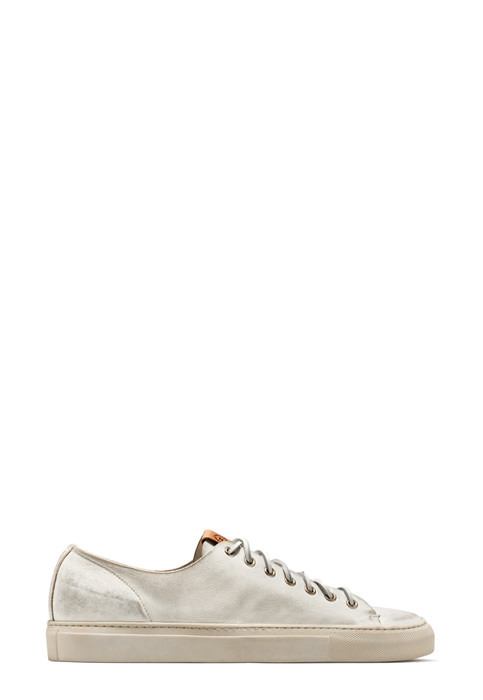 Nikel-finish metal eyelets. Leather label seamed at tongue with embossed Buttero logo detailing. 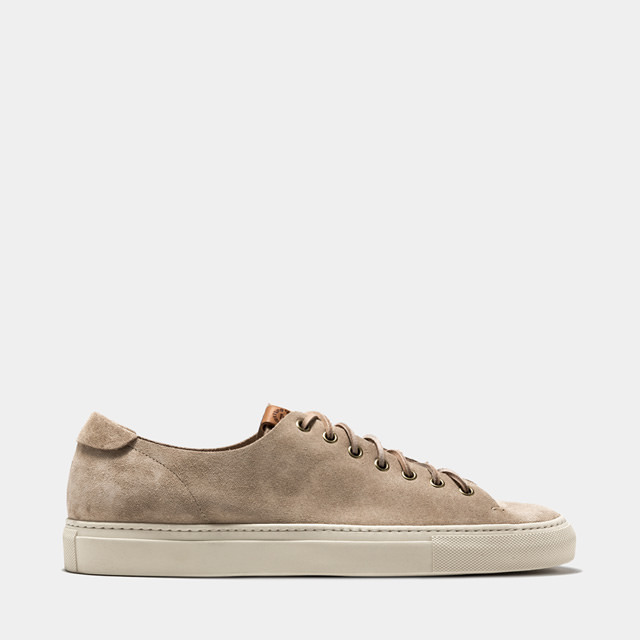 Leather lining. The 1.5 cm-high raised insole allows for optimal comfort. 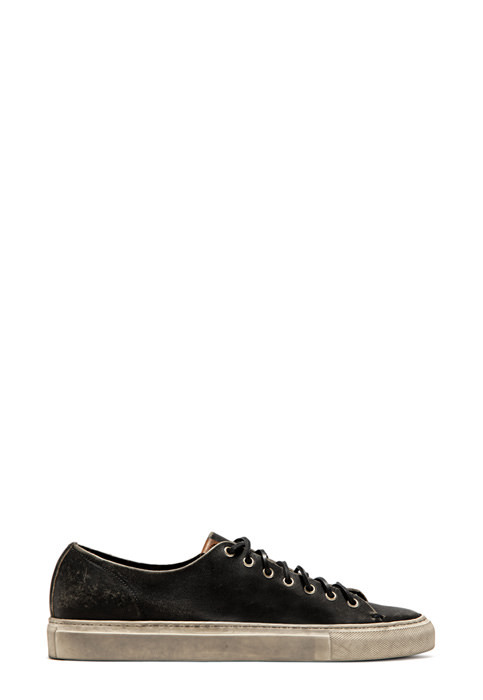 Seamed rubber sole. 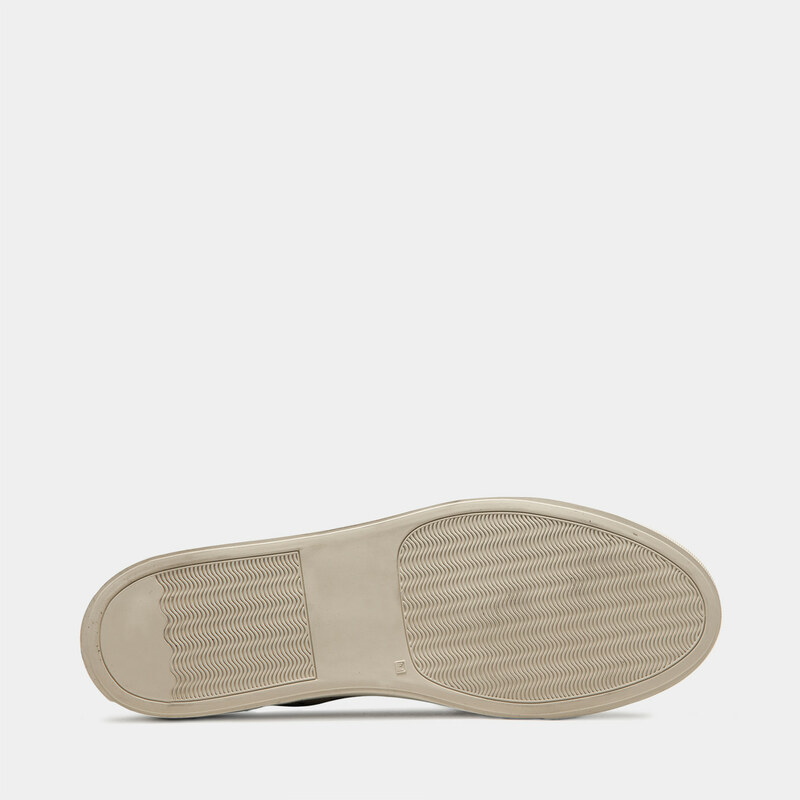 Height of sole: 3 cm.